I played a bit more with AF Photo and tried to import files from AF Designer. A look at the screen reveals that on iOS AFP seems to have problems with text within symbols. At least within duplicated ones. 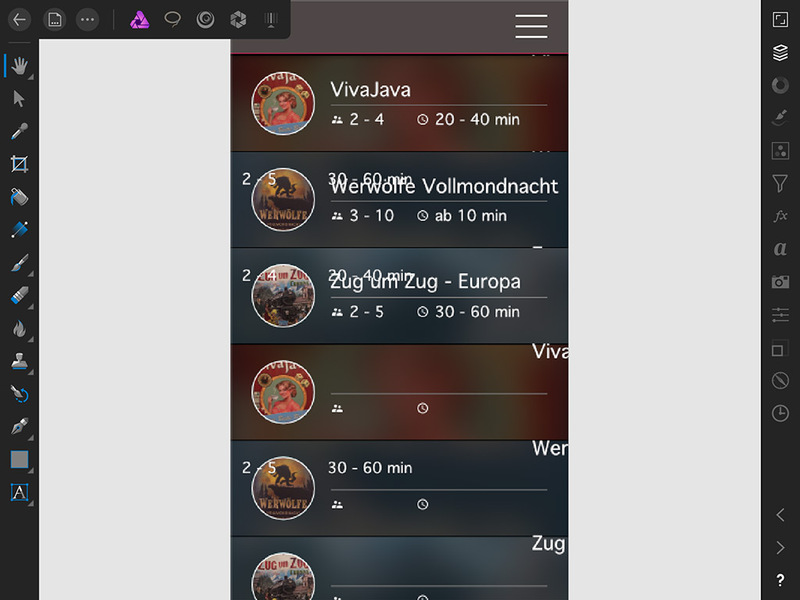 In the desktop version everything is fine. It's a minor thing, but it should be mentioned. Thank you for making us aware of this please could you provide the file you have used in your example for me to pass on to our developers? I sent you a PM with a link today. Could you download the file? Thanks for your help with this bug. We have now resolved the problem and will make the fix available in the next release (1.6) and can be trialled in the customer beta builds.